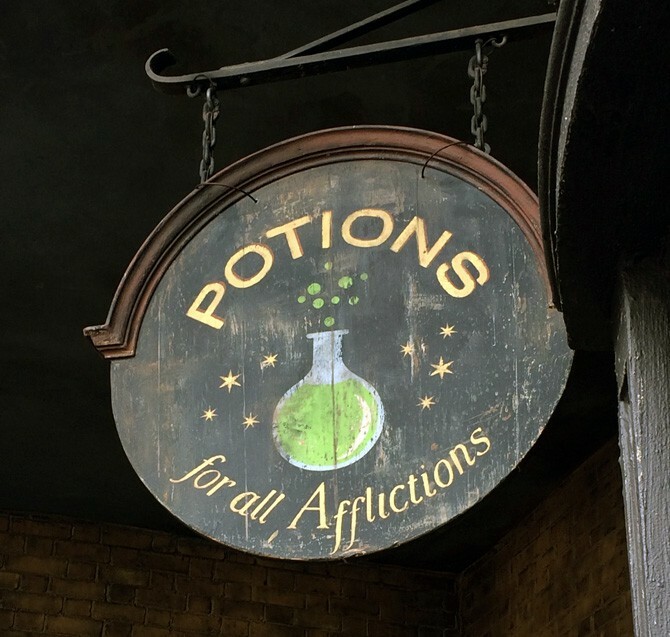 Hagrid takes Harry to get a burger at Diagon Alley in the first Harry Potter book, The Sorcerer’s Stone. In my mind, this is the veggie burger they would serve there. I know Harry isn’t vegan, but I bet he’d come over to our side for one of these autumn patties! This is shared at the Virtual Vegan Potluck, where my Homemade Pumpkin Juice was the most clicked on beverage. 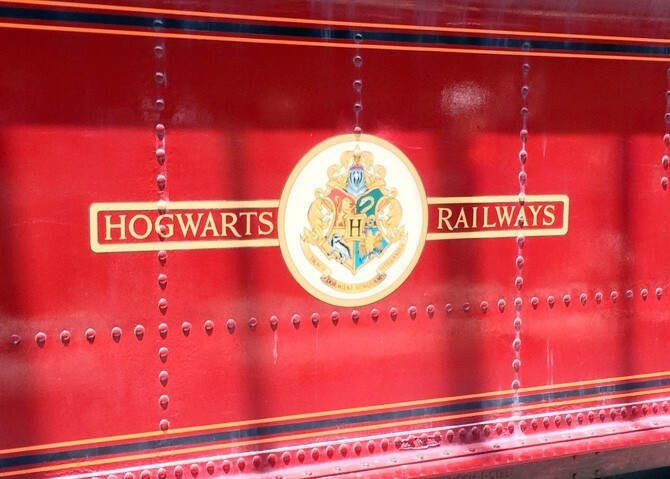 I knew there were more Harry Potter fans out there! 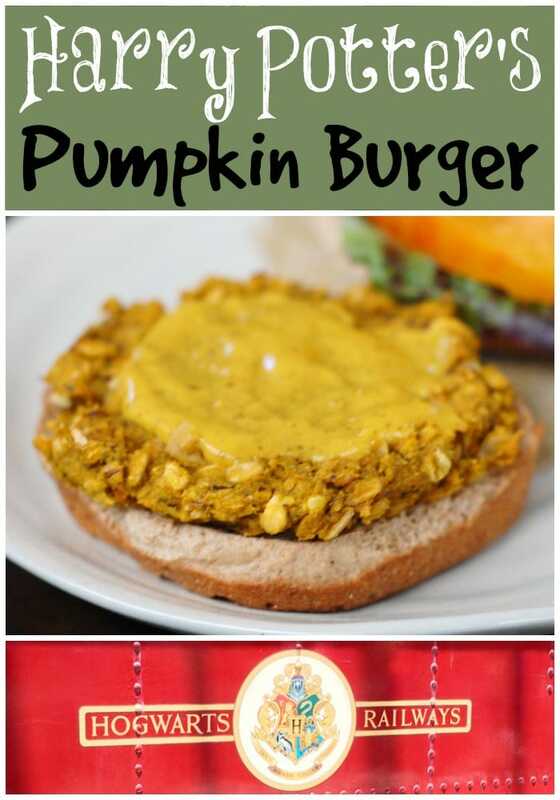 My burger screams Fall – with ingredients such as pumpkin, rolled oats and white beans making up the body of the burger. Indian spices elevate it to something you want to eat on a bun, on top of sautéed veggies or even with a delicious dal. In the meantime here are some more vacation pics from Universal Studios and some foods to try while you’re there. 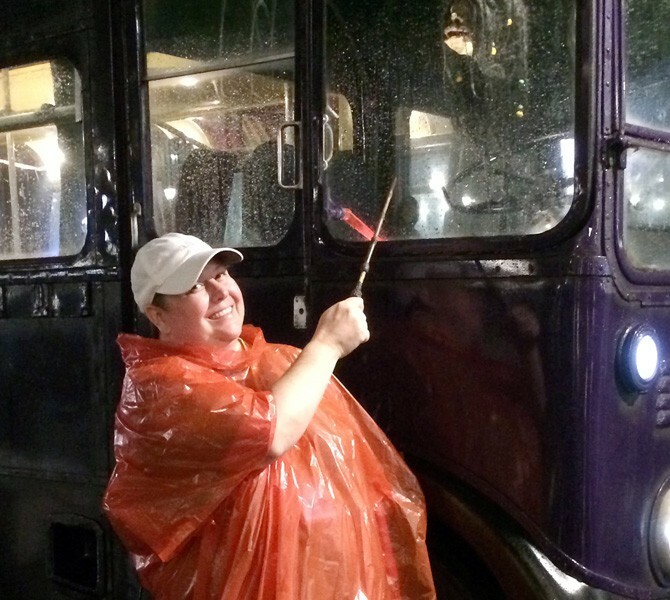 You can see Cheryl below at the Knight Bus and smiling at the shrunken head that has quite a few bad jokes to spew out at you. Nearby is a jacket potato stand that has vegan beans on one of their potatoes. 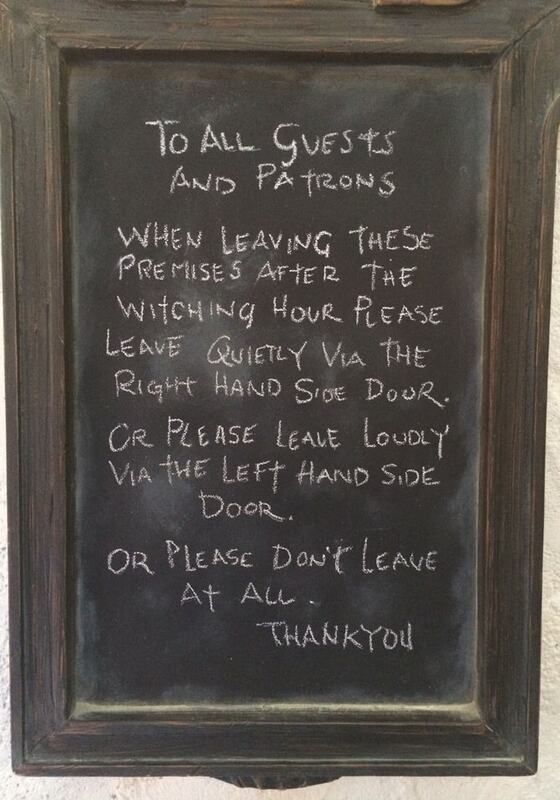 Just make sure they hold the cheese! 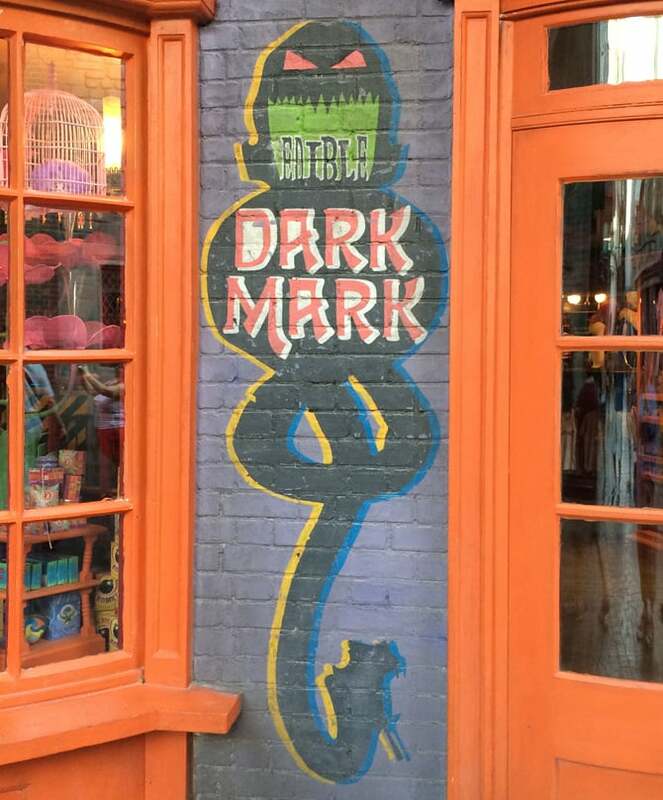 In front of Weasleys’ Wizard Wheezes you can see the add for the twins edible dark marks. There are vegan candies to be found, but you’ll need to read the labels carefully. The chocolate frogs, unfortunately, are not vegan. 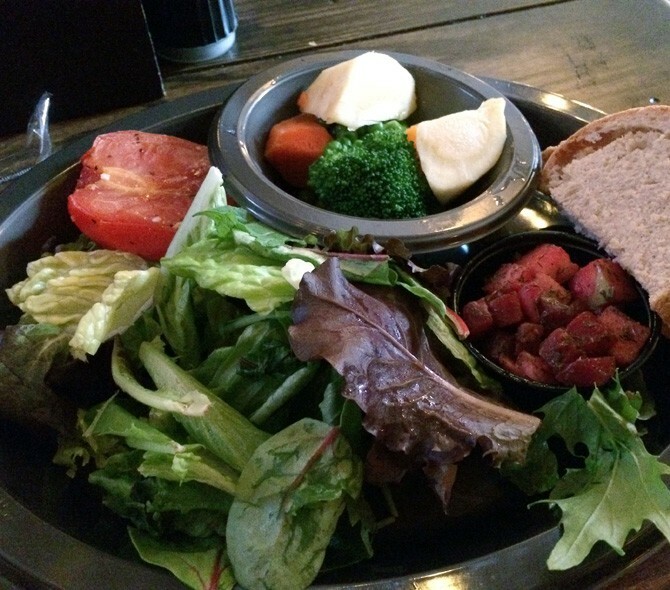 The Leaky Cauldron is full of charm and they do have one vegan option which has steamed broccoli, turnips and carrots, grilled tomato half, green salad and a cold beet salad (that was the star of the plate). 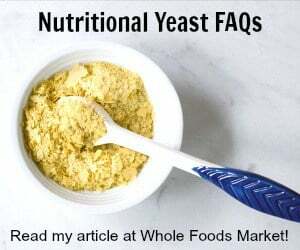 It comes with bread and that bread is vegan! Just ask for the vegetarian plate – it wasn’t on the menu when we went, but a nice gentleman told me to ask for it next time. 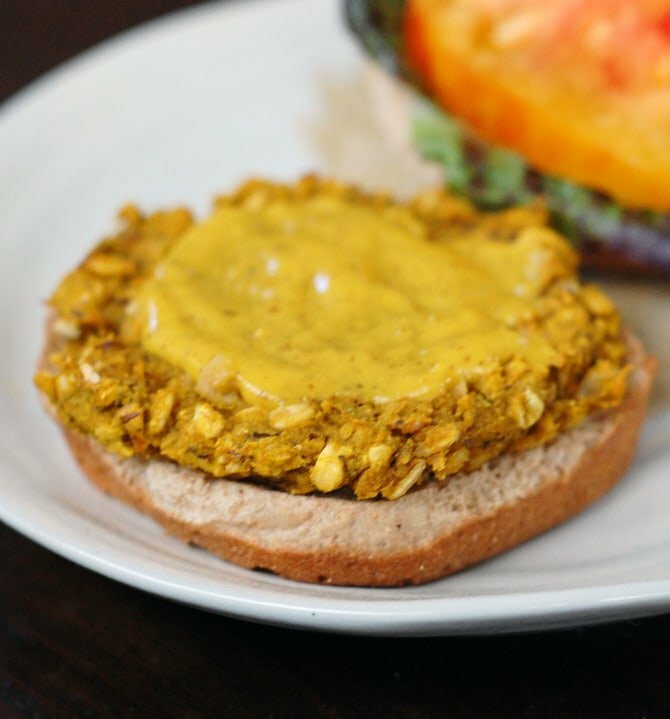 And now for my recipe for vegan curried pumpkin burgers. 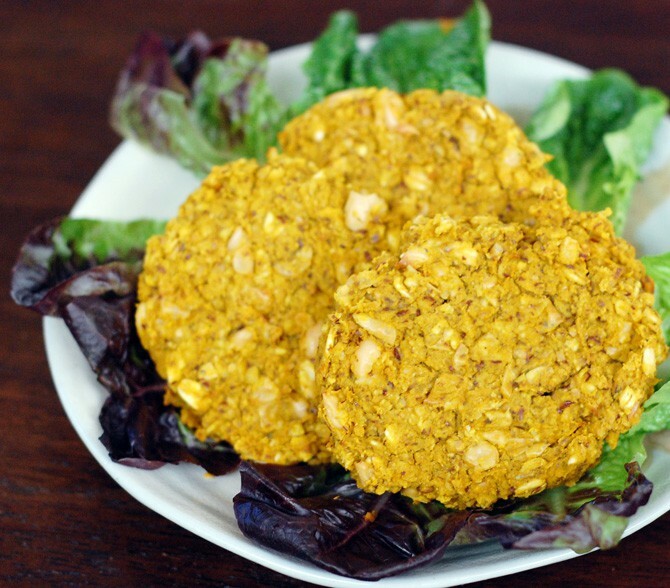 They are great in a bun with mustard, but would be lovely with a dal and rice too! Preheat the oven to 375 degrees. Prepare a large baking sheet by covering it with parchment paper or spraying with oil. Mix all the ingredients in a large bowl and mash the beans well with a potato masher until mostly smooth. Using a large scoop measure out 8 patties on the baking sheet. Flatten the tops with your hand or a spatula. Bake for 20 minutes on one side. Then take out of the over and flip the burgers over with a spatula and bake for 10 to 15 more minutes until firm. Serve on a bun with mustard . 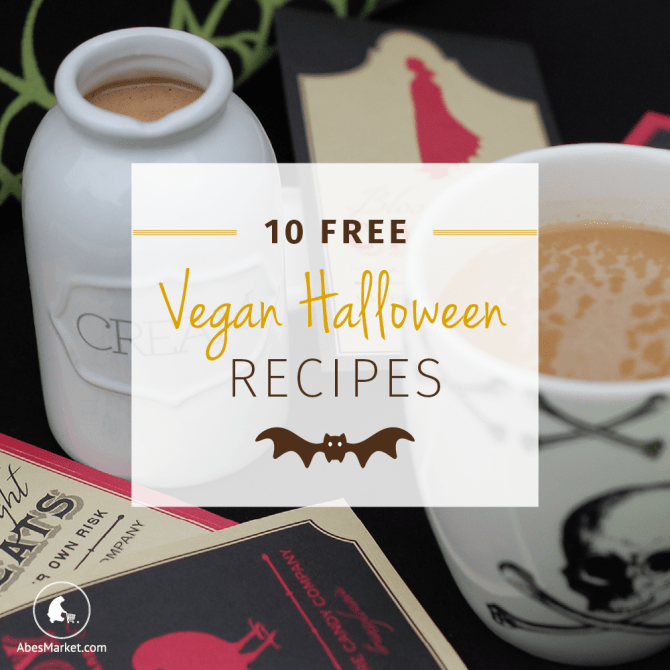 Don’t forget to download the free Halloween ebook from Abe’s Market. I have 3 recipes in it! Thanks for sharing this! I love this idea. I’m not a huge Harry Potter fan, but I DO like the idea of a burger that is different & has ORANGE veggies : ) I get tired of burgers all tasting so much alike, and I’ve been looking for something different. It’s my new favorite burger and I hope you like it as much as I do! This sounds awesome, and easy — great combo. Can’t wait to try it! Thank you! Be sure to come back and let me know what you think.